The opening word this time is adult, courtesy of Sayubee. She says that she chose it because she wants to become more of an adult this year, which she says all the time but now she really means it. 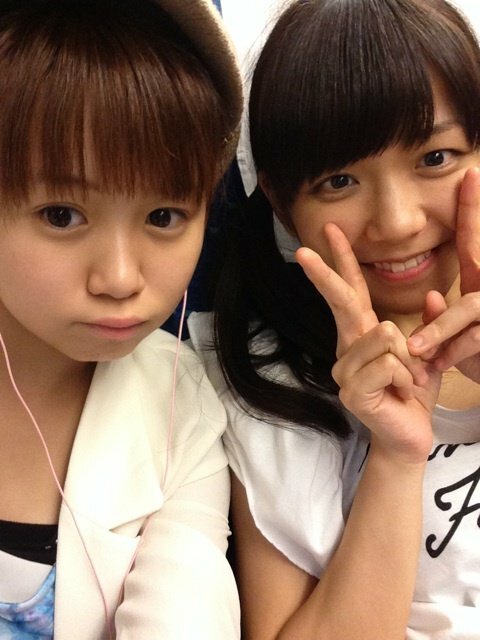 Sayubee: I’m 17, so I think now I have to grow up… eventually… like in my makeup and stuff and… Why are you laughing?! Yuka says that she’s conscious of this, too, and a while ago put forth more of an effort to act more mature. She recommends Sayubee pay more attention to the way she walks, the way she talks, and what she insists on carrying around with her. Sayubee says she’ll try. This letter comes from Kasutabe and they’re writing to say how much they enjoyed Uemu’s last voice blog. They thought it was really funny and cute and they would like to hear another one for a different song. Of course, Uemu is not on this broadcast, so they will have to wait until next time to see if she does it. Yuka wasn’t present for that particular recording but she had heard about it from the staff members and eventually had Uemu do it for her, and she thought it was really funny. She says that she and Karin and Uemu have had some practice recently in doing those sorts of introductions at events, but Sayubee had some trouble recently. She was supposed to be an announcer of sorts for a fashion show and she said she had a really difficult time with it. Yuka thinks that perhaps they should all practice like Uemu on the radio show. Sayubee sounds… less enthusiastic. The opening word this time is mango. Sayubee explains. She says that at the Hello!Cons at Nakano Sun Plaza the catering menu included shaved ice with a variety of flavors, including mango, which was especially good. 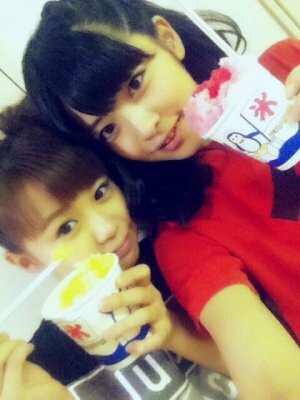 In her blog, Kanazawa Tomoko wrote that Sayubee had gotten shaved ice with lemon, but Sayubee wants us all to know that that was not the case; she did not get lemon, she got mango. It’s not lemon, it’s mango, and this is apparently very important to know.